This never-dull campaign for iOS will make you want to jump back on the ninja bandwagon. Puzzle games are passé. Ninjas doubly-so. 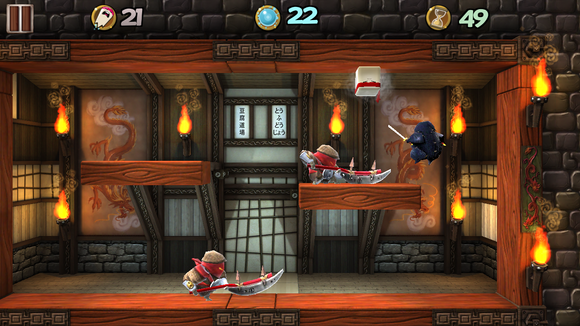 Combining the two seems like it shouldn’t work in 2015, but To-Fu Fury avoids the sword edge of cliché… because it’s a very well-made puzzle game that involves ninjas. Also: It has violent soy cubes. Amazon Game Studios’ polish is obvious here with sound mechanics, lush 3D worlds, and a streamlined, never-dull campaign. 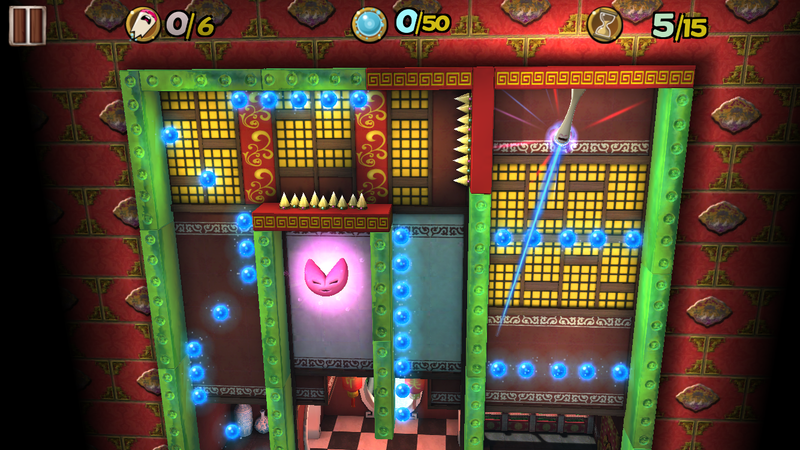 Here are three reasons that To-Fu Fury is the next puzzle game for your collection. You’re a stranger in a strangely designed land: The world of To-Fu Fury resembles a stylized, G-rated feudal Japan where everyone’s castles are full of metal walls, deadly spikes, and egg-shaped lords. To-Fu Fury tasks you with guiding the titular tofu block to the end goal, which is actually a smiling pink cat head. Yes, this sounds like a strange design choice, but at that point you’re probably just going to roll with whatever bizarre world Amazon has built: Evil wizards are involved, as are ninjas, robotic chefs, and, of course, that tofu block. The world is strange, but it’s beautifully done. Your sentient tofu block, by the way, is apparently a master acrobat—he excels at flinging himself in arcs and straight lines. Pulling or pushing his body will show you where he’ll end up. This isn’t inherently weird—it’s a solid mechanic—it’s just bizarre since tofu isn’t really known for its stretching and bouncing ability in the real world. Yes, your kid will find the game cute: While tofu isn’t known for being particularly endearing, this block is. He may not be as cute or iconic as the Angry Birds or Om Nom from Cut the Rope, but Amazon clearly is leveraging the cute factor here with its adorable pink cat-friend, egg-shaped sensei, and oddly flexible tofu block. 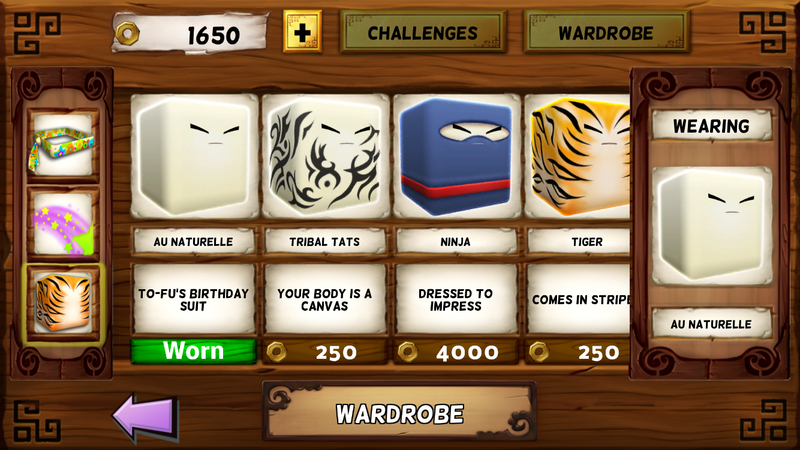 Dress up your tofu block in tribal tats to impress all of your friends. Speaking of which, you can buy various outfits for your tofu block in To-Fu Fury’s in-app store. You’ll also find boosts that will affect gameplay available for purchase, but the game is clearly hoping you’ll enjoy decking out your tofu block like it’s your Trapper Keeper. That’s not to take anything from the game’s gameplay, which is refreshing if odd. It’s a puzzle wrapped in an enigma with an action-movie center: The initial levels of the game seem like a typical all-ages puzzle. 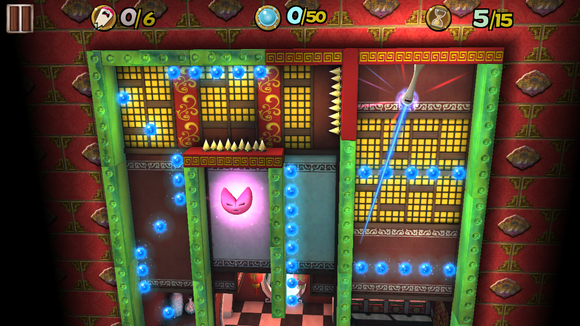 You have to gather the floating balls of chi while only using a few moves to reach the end goal, and it’s timed. These are fairly standard mobile puzzle game features for a reason: They present a challenge that you may have to try again and again to meet. You can angle the camera a bit when you’re launching your tofu block across the screen. But after a few missions of teaching you the various obstacle-navigating mechanics, To-Fu Fury whips out a surprise: It’s actually an action game, too. 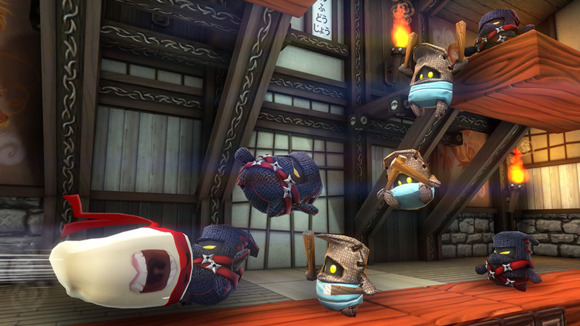 Maybe the designers figured that people would get bored with the patient, physics-central gameplay that has dominated so many iOS games of late, so they threw in ninjas to spice it up. The challenge then changes: Not only must you complete the missions—dodging spiked walls, bouncing off metal, slipping off green walls and the like—but you also have to defeat enemy ninjas. These guys don’t go down without a fight, either. Even the smallest baddie usually requires a hit or two. To my mind, these levels (and boss fights) are what makes To-Fu Fury worth playing. Suddenly, the deathtrap you’ve been navigating becomes even more of a challenge. I’d compare the experience to wrestling a bear in a phone booth. To-Fu Fury is an odd game, to be sure. But it definitely has its charms. Amazon Game Studios clearly is just getting started in the mobile realm, but more games like this and they’ll be a cut above the rest. Ninja puns!